Nicholas R. Seabrook has written an important study that will cause researchers to reconsider the partisan and competitiveness consequences of congressional redistricting. For decades, debate has raged over the extent to which a party controlling its state's line-redrawing process can increase its share of seats. Equally contentious has been the question of whether redistricting has made for more or less electoral competition. 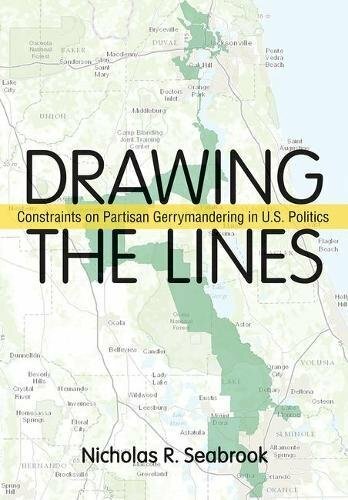 The vital contribution of Drawing the Lines is to show that during the period from 1992 to 2010, partisan gerrymanders had their intended seat gain effect, but only marginally, while these plans increased electoral competition in comparison with bipartisan, commission, or judicial plans. Thus, Seabrook puts himself at odds with the conventional strain of writing on the topic, urging academics and journalists to move past their fixation on limiting partisan gerrymandering and instead push for competition-enhancing reforms, regardless of whether a state legislature or a commission has redistricting authority.